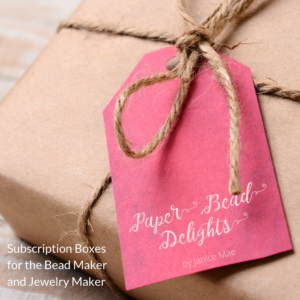 If you have some special beads that you want to admire and see all the time, setting them in resin like what I did with the paper bead mix ring. 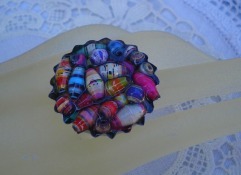 You take a store bought bottle cap ring finding or any bezel cup finding and set a mixture of beads using resin. This is something easy and quick to do, great for bazaars! I have bottle caps and love making paper beads but I can never think of how I can use these two together because punching a hole in the cap might not be a good idea. I’ll have to think about it more. the concept is original! 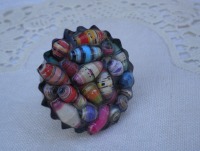 and if the ring is a little too big for me … this is a wonderful idea to showcase our most beautiful paper beads!! !